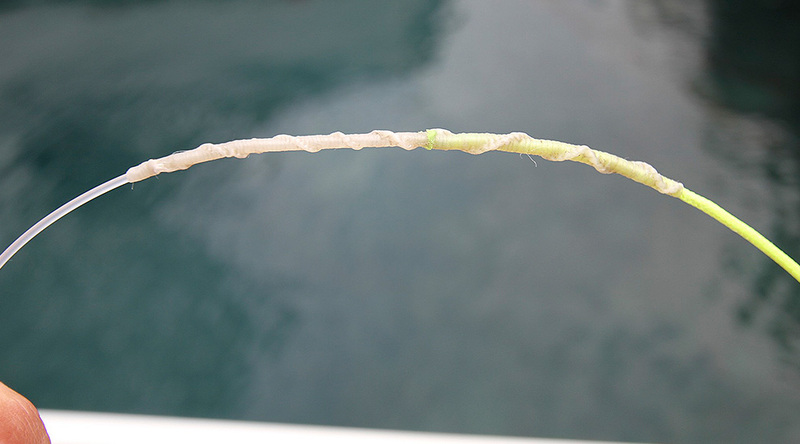 Match the Dacron and monofilament by their breaking strength. If you try to join two lines that don't match in size, it will cause the line to slip if the Dacron is too large. And if the mono is too thick, it will not be able to slide up the inside of the Dacron or Spectra. 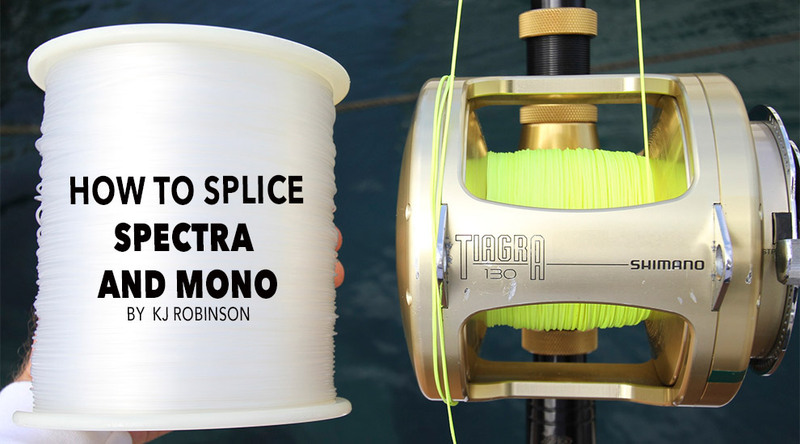 The mono top shot will need to be changed out more often than the Dacron or Spectra because it will be exposed to the conditions and get chafed from bites and battles with big fish. The Dacron won't wear down as quickly because it's hidden underneath the mono. 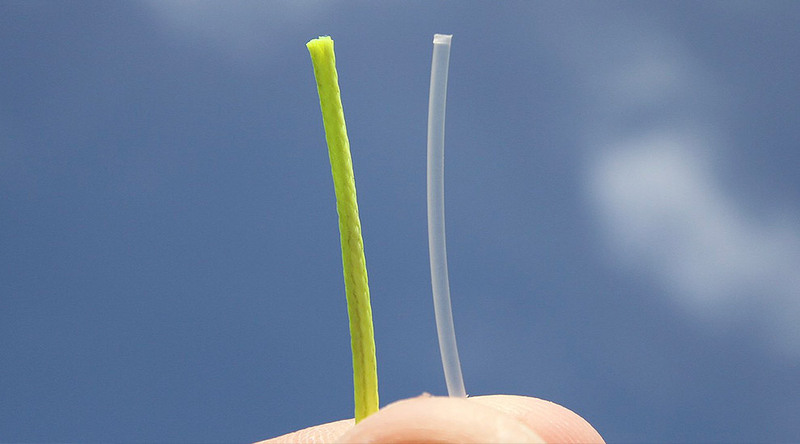 When it comes to connecting these two types of line, start by neatly cutting both ends. 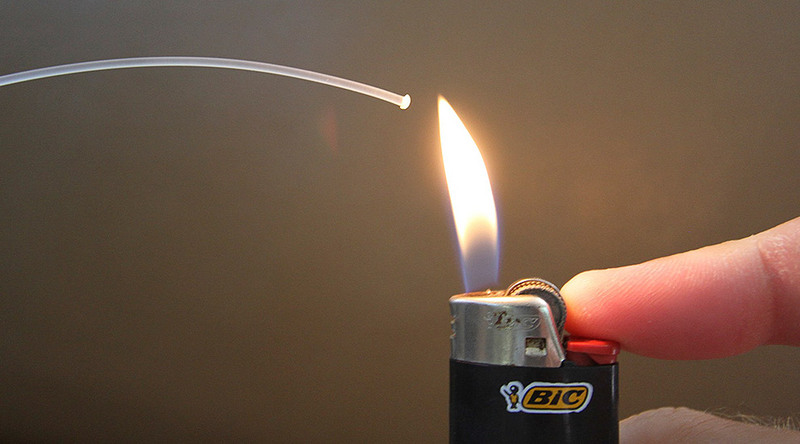 Using a lighter, melt the tip of the mono to form a mushroom shape. 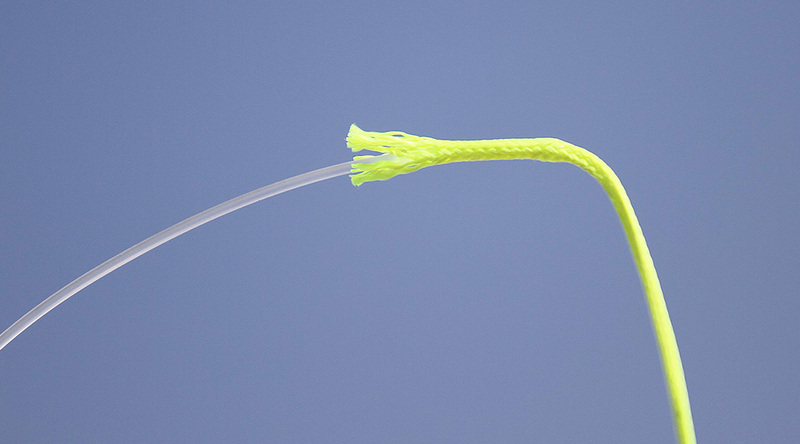 The rounded tip will help you feed the monofilament through the center of the Dacron. Dacron and Spectra are hollow braided lines. 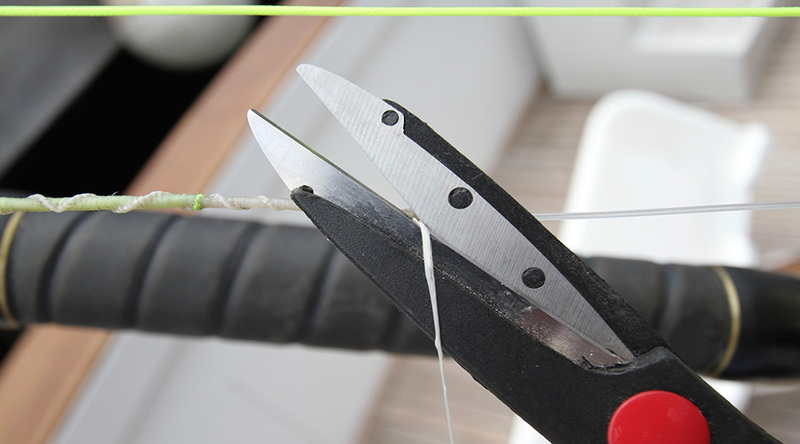 Because they are hollow, you can slide the rounded end of the monofilament up into the Dacron. Inching the mono up the Dacron line evenly requires patience. We like to run the mono as far as 6 to 12 feet into the Dacron. Using this much live gives you the strongest connection possible. 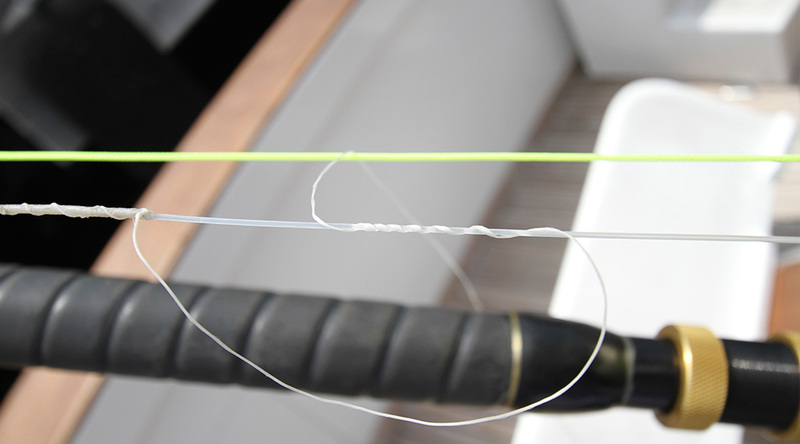 With the end of the monofilament 6 to 10 feet inside the Dacron, it's time to start tightening up the connection. 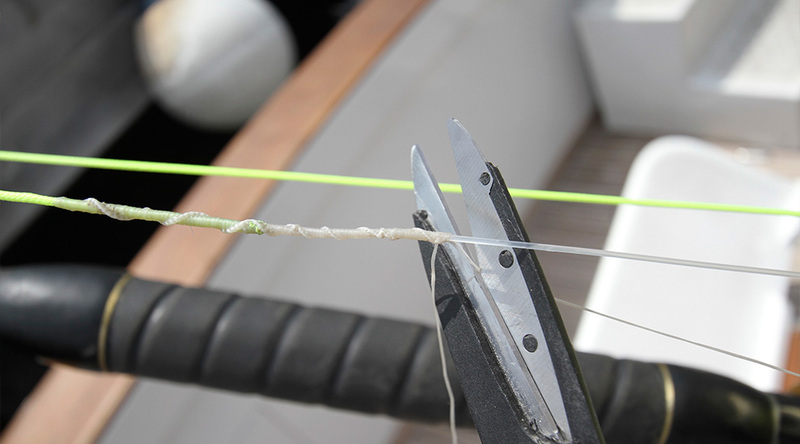 The splice acts the same as a Chinese Finger Trap and when done correctly the tension of a fish pulling on the line will only make the splice tighter. Again, the line sizes must match for a splice to hold without slipping. 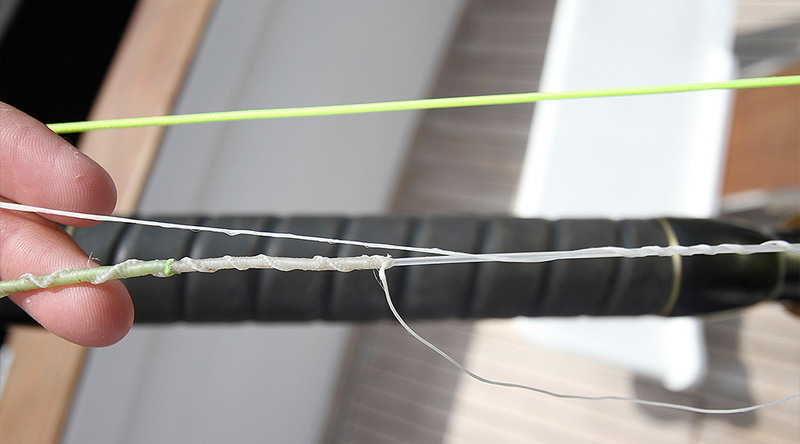 To finish the connection you'll need to serve the overlapping end of the Dacron with waxed rigging floss. 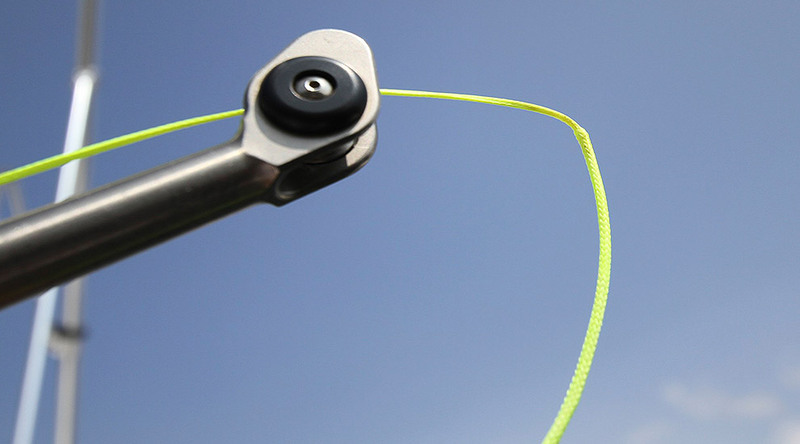 Use heavier floss on heavy line and lighter floss on light lines. 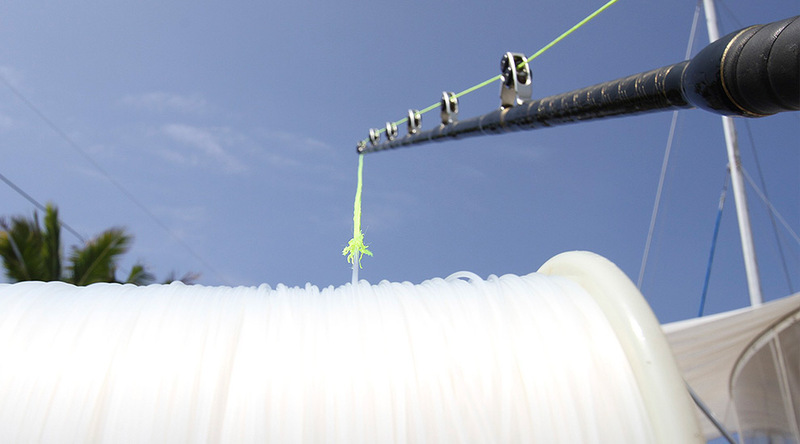 To start, take a 12-foot piece of floss and fold it into two. 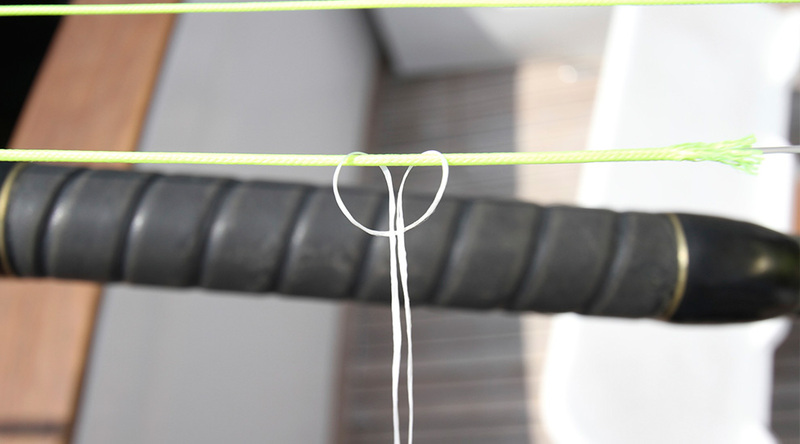 The 'serve' binds the two lines with floss and reinforces the splice. To get the best serve you'll need to keep the line tight to work with. Usually wrapping the mono around your hand and pulling tight to the rod tip gives you enough tension to to start the serve, but having another person hold the line might make it easier on you. As long as the line is snug when you add your floss, the finished serve will be nice and tight. 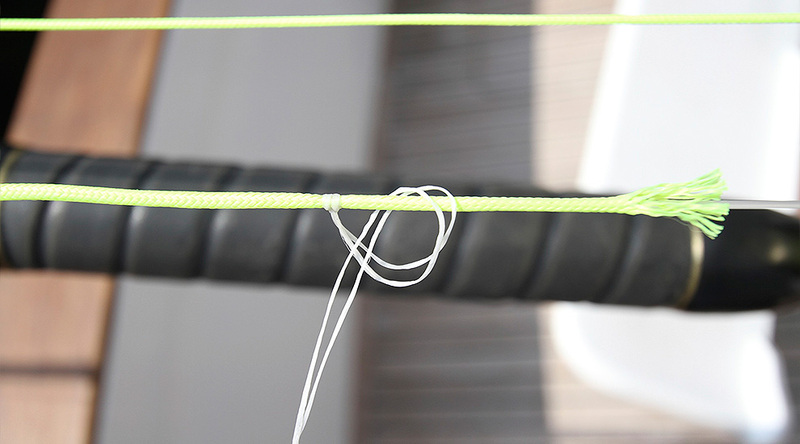 Bring the two ends of the rigging floss around the line and through the loop. This will mark the beginning of your serve. You should start about 2 inches up the Dacron from the mono. 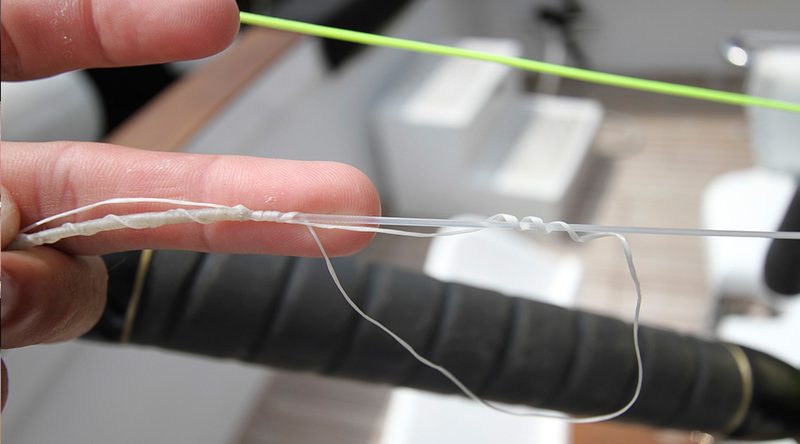 Cinch down the floss loop 1 to 2 inches from the overlapping end of the Dacron. 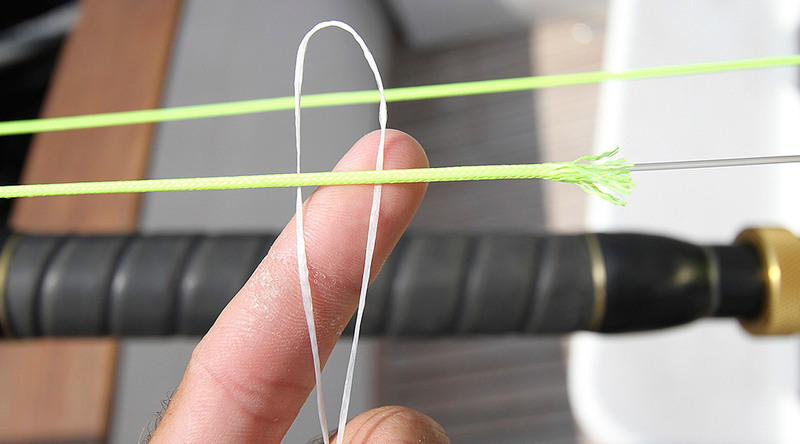 After you secure the first loop of floss, you'll need to start making your half hitches. 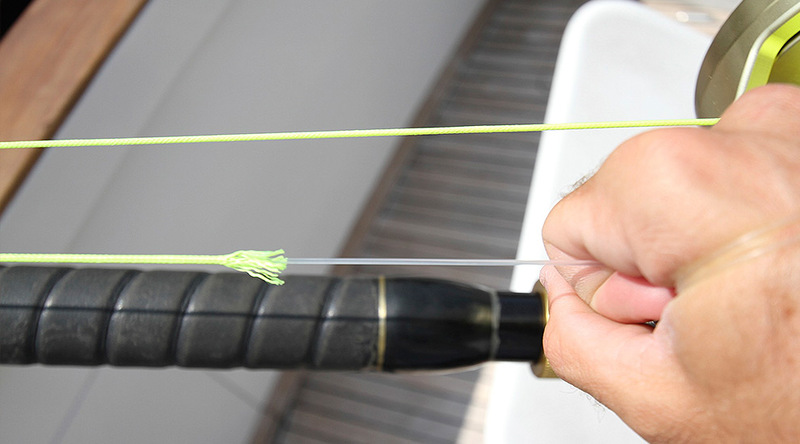 Using the two ends of floss, make half hitches towards the end of the Dacron. 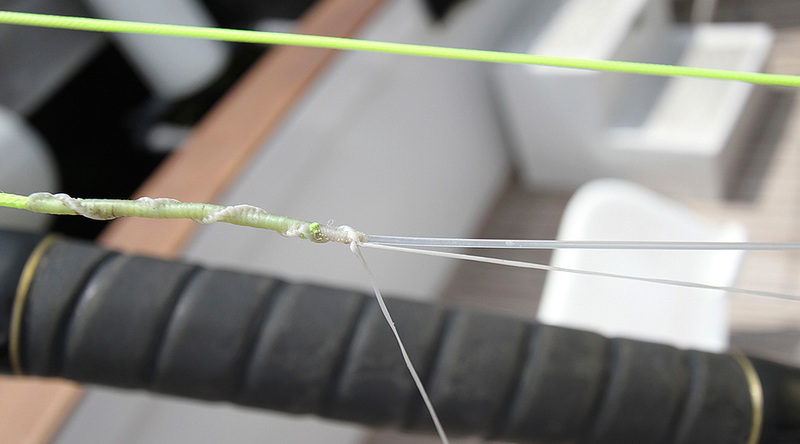 Be sure the spliced Dacron and mono is held tight as you make the half hitches. After making several half hitches, the serve should start to look like this and begin to reach the end of the Dacron. Continue the same distance onto the mono, completely covering the connection. 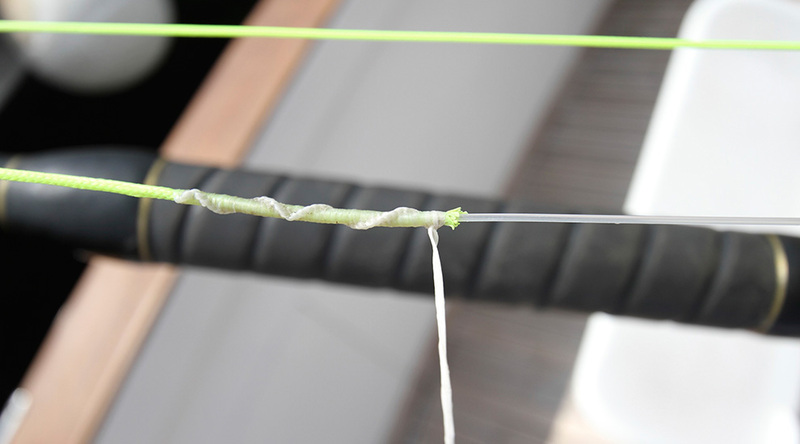 Once your half hitches begin to cover the mono you can hold one end of the floss along the line and half hitch over it with the other piece. This will help you make a neat finish to the serve. Only use one strand of floss for the final half hitches. Once your serve reaches 1 to 2 inches over the mono, you can cut the strand of floss you held alongside the line and half-hitched over. This will leave you with only one strand to work with. To finish off the serve, take the last strand of floss and make a loop by bringing the end out and back around the mono five or six times. Hold the tag end of floss alongside the serve. Holding the tag end of floss along the serve, make even wraps around the mono working back towards the Dacron. 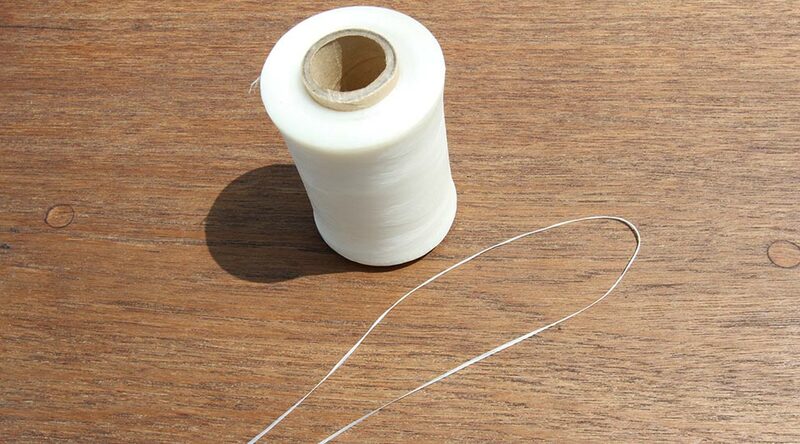 This should create a loop which you can pull shut by tightening the tag end of floss. This will finish off the splice and give it a low-profile, clean look. Trim the last bit of floss tightly to the serve. 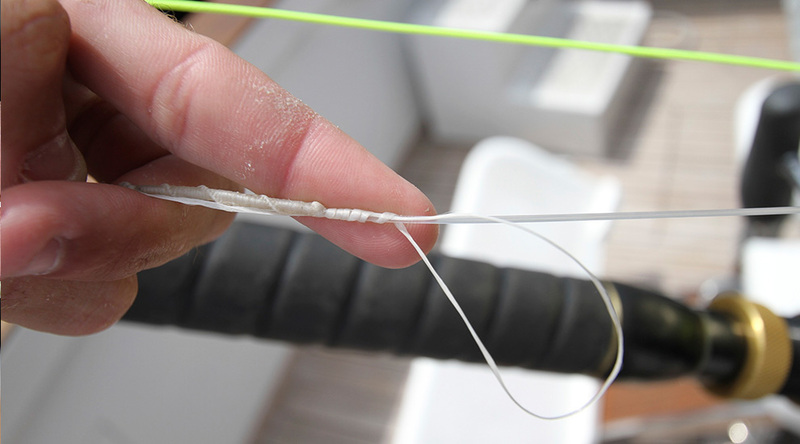 Your finished Dacron-to-mono splice should easily run through the guides on the fishing rod.